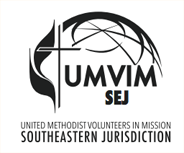 The activities planned for Tuesday, June 28th are an invaluable resource for our participants to see the United Methodist connectional system at work, as well as network with key people within our denomination. We will have workshops at 9:00 and 10:00 that morning where participants will learn more about various issues facing the world today, and what it means to LIVE THE WORD. Following workshops is our annual City of Opportunity at 11:00, which brings together representatives from United Methodist General boards and agencies and other missional organizations. This allows participants to connect with these various ministries with the intention of engaging them in projects and initiatives that are of interest to them. It is also a fun time of fellowship, featuring as many sno-cones and rounds of dodgeball you could want! Information on workshop leaders and City of Opportunity participants will be published here as they become available. To see what kind of workshops we have offered in the past (and to see how much we love cotton candy) click here! If you are a representative of an organization and think you'd be a good fit for these events, please contact Gray Miller at gray_miller@umvim.org.